Winning Smiles Orthodontics offers different types of braces to the residents in and around Washington, DC; Bowie, MD; Hyattsville, MD; Prince George’s County; Montgomery County; and Anne Arundel County. 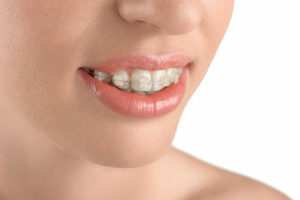 Gold braces: Some people like to add a little more flair when choosing their braces. Gold braces are basically the same as silver braces, but they are coated with a layer of 24-karat gold. Clear braces: Also referred to as ceramic braces, these types of braces are made with a translucent material that makes them less visible. Clear braces are popular with adult patients because of their cosmetic appeal, but there are some drawbacks. Ceramic brackets are more fragile, and the elastic ties can discolor between visits. Invisalign : This computer-based system creates a series of clear overlay templates (aligners) that gradually move your teeth. 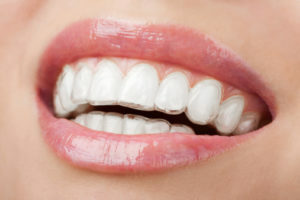 Invisalign is available to adults and some teenagers with orthodontic bite problems. Your braces services will be just as individualized as you are. Prices will vary depending on the kind of braces you receive at Winning Smiles Orthodontics. To learn more about braces costs, please schedule an appointment today. By thoroughly examining your situation, he can answer all of your questions about the types of braces and their prices, including payment and financing options. His courteous and helpful staff will also help determine if your dental insurance covers the cost of different kinds of braces. Our goal is to provide high-quality care at an affordable price that meets the needs of all our patients. 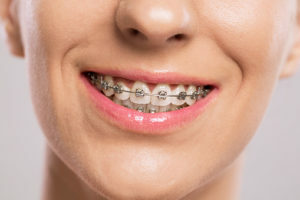 If you are considering different types of braces, then please look at our braces before and after pictures in our Smile Gallery. With these images, you can get a better idea of the benefits of the orthodontics treatment offered by Winning Smiles Orthodontics. At Winning Smiles Orthodontics, “A Winning Smile Is Always in Style!” Winning Smiles Orthodontics and their top-notch orthodontics team recognize that each patient has unique requirements and desires. Our services have improved the lives of people from in and around Washington, DC, including residents of Bowie, MD; Hyattsville, MD; Prince George’s County; Montgomery County; and Anne Arundel County. Whether you are an adult, a child, or a teenager, our knowledgeable staff is committed to helping you achieve the smile you deserve. Please call 301-249-4123 today to schedule your free initial consultation!